With more stitch patterns than any other full-colour stitch dictionary on the market, 400 Knitting Stitches is an expansive resource. 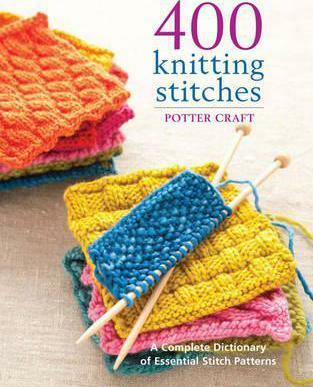 This book provides a basic guide to knitting techniques as well as the instructions for creating more than 400 stitches, from simple to elaborate. Each stitch is clearly illustrated with a close-up photograph and accompanied by a chart to make it even easier to master. Perfect for: knitters everywhere who love cables, lace, and textured stitches; intermediate and experienced knitters who want a no-nonsense guide that contains every stitch they need; creative knitters - new or experienced - who love to experiment with their designs.